As Homes & Gardens celebrate its centenary year, it’s such an honour to have had one of my interiors articles featured in the January 2019 issue. Jacqui and Peter Kirk made me feel incredibly welcome when I flew over to Northern Ireland to meet this delightful couple at their spectacular coastal home in Bangor, County Down. The pair have worked tirelessly to sensitively transform a derelict Victorian rectory into a spectacular home. Thanks to everyone for the incredible feedback about my seven-page feature. 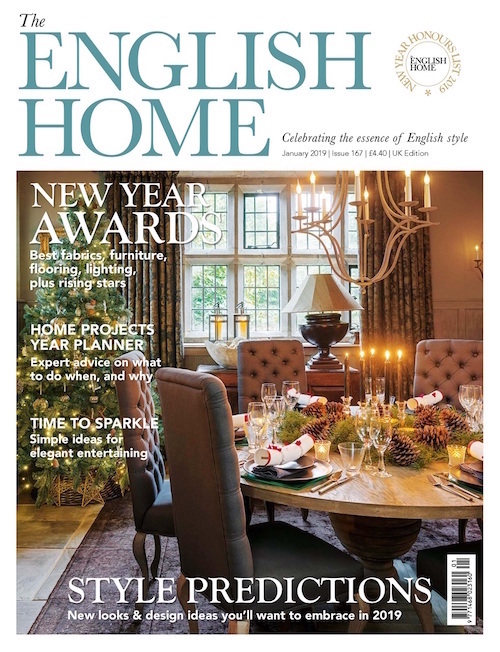 I’m so chuffed and extremely grateful to The English Home magazine for featuring my Harrogate home article on the front cover of the January 2019 issue – on the shelves right now! I’d a fantastic day styling this enchanting, medieval home and interviewing the delightful Bryony Howes for my eight-page feature. To find out how Bryony reconfigured her stunning period house, pick up a copy and enjoy a leisurely festive read. Photo, courtesy of Jeremy Phillips. Does your home look magical at Christmas? How do you fancy stepping inside this enchanting cottage? Well, the good news is that you can! Simply pick up the December issue of Good Homes magazine, put your feet up and read my feature about Carrie Brixey’s winter wonderland home. Carrie’s beautiful Tudor cottage is jam-packed with inspiration for the festive season. If your own home also looks magical at Christmas, and you’d love to see it starring in a magazine, do get in contact with me on 01243 792379. Photo, courtesy of Andreas von Einsiedel. Hope your week’s going well. I’m visiting a coastal home in a stunning location today. I’ve been admiring the house for ages and cannot wait to see inside! Earlier this year, photographer colleague Andreas von Einsiedel and I ventured to Norfolk for a magazine photoshoot at gorgeous Oyster Cottage in Wells-next-the-Sea. 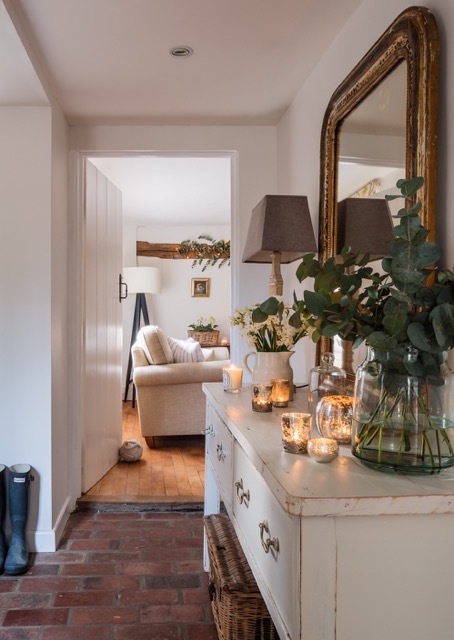 Just love this cosy living room with its driftwood-style console table. 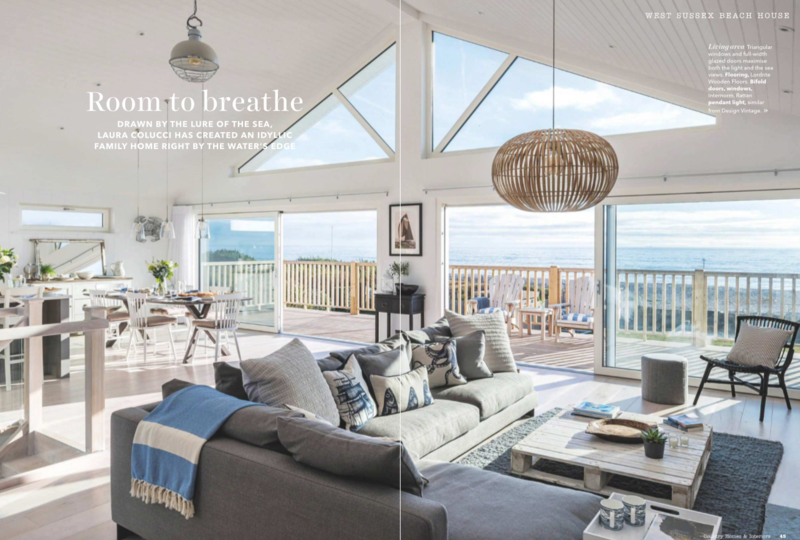 I’m so pleased to share my latest Country Homes & Interiors feature with you. Inside the October issue, you’ll find gorgeous Ford House, owned by the genial Amanda Townsend. 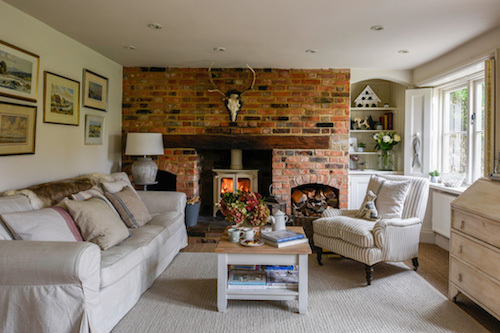 Here’s a little glimpse of the cosy living room in this true home-from-home holiday cottage in Docking, Norfolk. Pick up a copy of the magazine to step inside and find out more. Photograph, courtesy of colleague Andreas von Einsiedel. 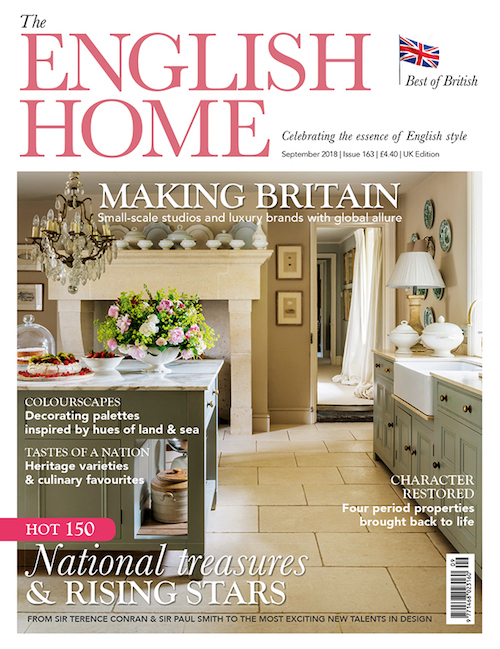 Just to say thank you very much for all the emails and phone calls about my features in this month’s issue of The English Home. What an amazing response! 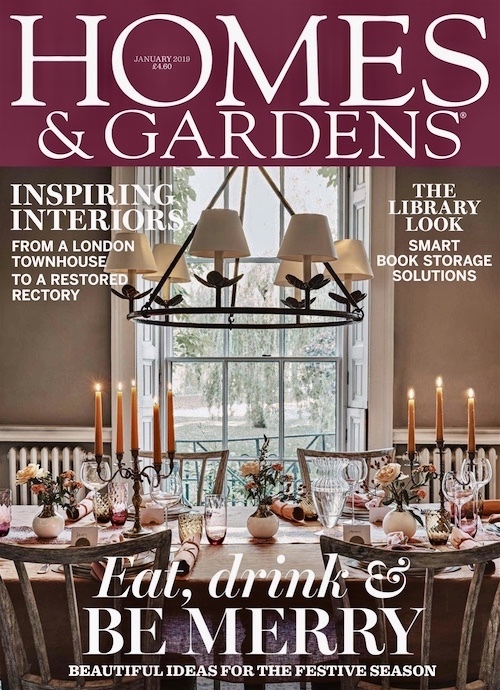 It’s been fantastic to see the truly gorgeous home of Emma Hatfield Watkins taking pride of place on the front cover, plus the enchanting farmhouse, owned by Simon and Catherine Davis, also starring in the September issue. It was such a privilege to visit both wonderful homes with photographer colleague Andreas von Einsiedel. If you’d like your own home featured in one of the magazines I write for, please do get in touch. I’m absolutely over the moon that three of my interiors articles are featured in the latest (August) edition of Country Homes & Interiors. A trio of stunning, sun-drenched homes in Anglesey, Norfolk and West Sussex. It’s been such a privilege to visit all three homes, meet the fantastic owners (we’ve had many laughs!) and share their stories. The August issue is out now. Photo, courtesy of Andreas von Einsiedel. Hope your week’s gone well. 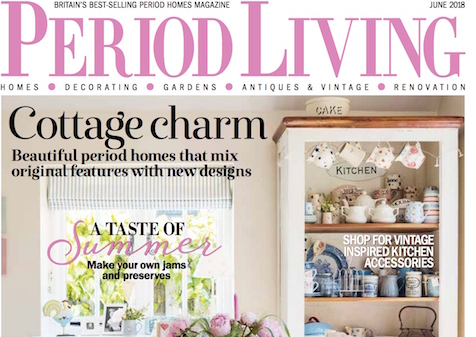 I’ve had a busy but good one, and am delighted to see this ‘pretty in pink’ shot of Helen Jackson’s cottage, starring on the front of this month’s (June) Period Living magazine. It was an absolute delight to meet Helen and her lovely family, and such a pleasure to style this gorgeous home and write my feature. To step inside, pick up a copy. Image, courtesy of photographer colleague Andreas von Einsiedel. See full cover shot below. 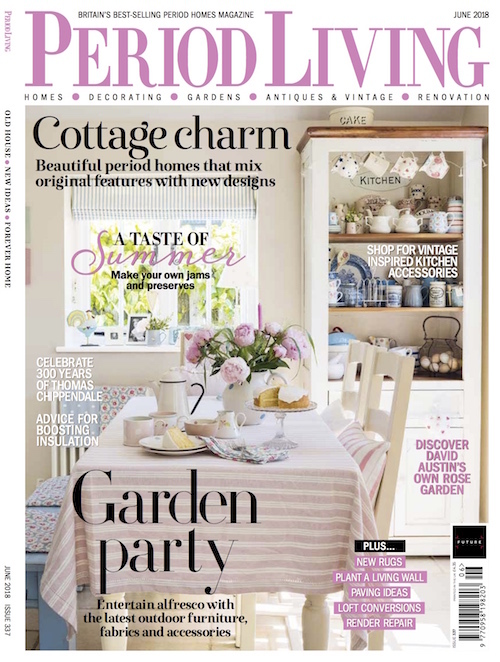 It was incredibly difficult to choose one particular photograph to post from my feature of Josephine Burlingham’s beautiful cottage, in this month’s Country Homes & Interiors magazine since, the truth of the matter is, the shots are all absolutely gorgeous! If you haven’t picked up a copy of the magazine yet, this is a little glimpse of what’s waiting inside. 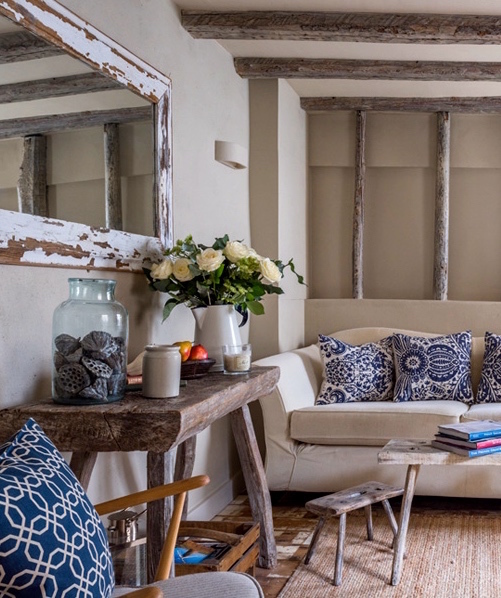 The talented interior designer, who runs Country & Coastal Interiors, has created a wonderful, cosy home. Isn’t her master bedroom, with its Peony & Sage canopy, just dreamy? Photo, courtesy of Andreas von Einsiedel. Walls, painted in Savage Ground by Farrow & Ball. Silk bedspread, John Lewis. Bedding, The White Company. Large cushions on bed, Chelsea Textiles. Small cushions, Debenhams. Curtains, Romo Linara fabric with a mother-of-pearl trim. I have a confession. When the BBC launched its Great Pottery Throw Down, although immediately hooked on the thrills and spills, I never imagined that, one day, I’d find myself sitting at a potter’s wheel, tentatively clutching a lump of clay while feeling totally ‘fired up’ with adrenaline (plus a huge amount of trepidation), as I prepared to throw my first ever pot! Soon after the first series of this eye-opening programme finished, I had the opportunity to interview delightful finalist, Sally-Jo Bond, for a feature in Country Homes & Interiors magazine. From the moment I met this talented, cheery potter and interior designer, my sixth sense told me that our ‘chat’ for the My Kind of Country article would go well – and it did. In fact, it was such a success that, over the last couple of years, Sally-Jo and I have kept in regular contact. Sally-Jo has been an extremely busy lady since the show aired. Apart from moving to a pretty village near the West Sussex coast with her husband Nick (who runs shoe and handbag store Franchetti Bond), the pair now have a beautiful new addition to their lives – their gorgeous son, Rory. 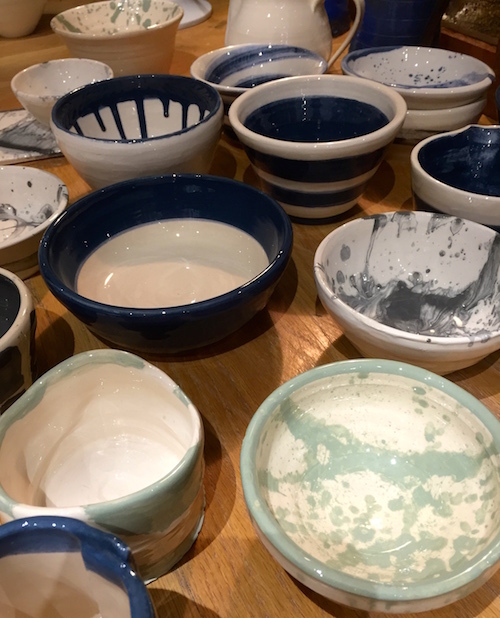 She is juggling life as a mum with lots of interior design projects, plus commissions for her ever-popular Swoosh bowls and other ceramic pieces. Anyway…I digress! A few months ago, while browsing in a local art gallery, I instantly fell for a little vase that caught my eye. My heart sank, though, when I discovered it had actually just been sold. Although disappointed, I remained philosophical, taking the view that there was absolutely nothing that I could do to change the situation, and headed back to my office to write my next interiors feature. 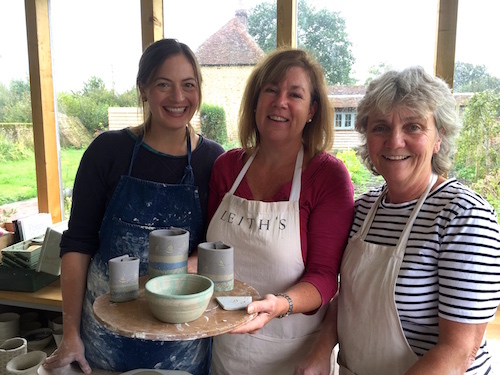 Call it fate, but a couple of days later, I received a surprise message from Sally-Jo, asking whether I’d like to join her, and her colleague Sally Marien, on a two-day pottery workshop near Midhurst – an introduction to throwing and hand-building. Swiftly tweaking my diary, I seized the opportunity and found myself driving through the stunning West Sussex countryside, accompanied by the pure strains of singer Alison Krauss. Well, the scene that greeted me minutes later, as I crunched down the gravel lane, took my breath away. Sally Marien’s cottage is absolutely spellbinding, and its location, nestling in the South Downs, is staggeringly beautiful. As I walked towards her oak frame studio, I could instantly feel myself unwinding – what an idyllic, tranquil place to spend a couple of days learning a completely new skill. With the two ladies quickly putting the friendly group of six eager-to-learn participants at their ease, the fun began. Over coffee and melt-in-the-mouth cakes, Sally-Jo launched into a demonstration of coil building, before the group split into two; throwers and hand-builders. Having never tackled either throwing or hand-building, I reckoned the safer bet was to steer clear of the scary-looking wheels for as long as humanly possible. I did drop a heavy hint that the tutors may like to have a closer look at their risk assessment before letting me loose on such a piece of equipment! Thankfully, the wheel was safe for another while, since, having related my ‘sold vase’ incident to Sally-Jo, I got stuck in and began hand-building my very own creation from a slab of clay. 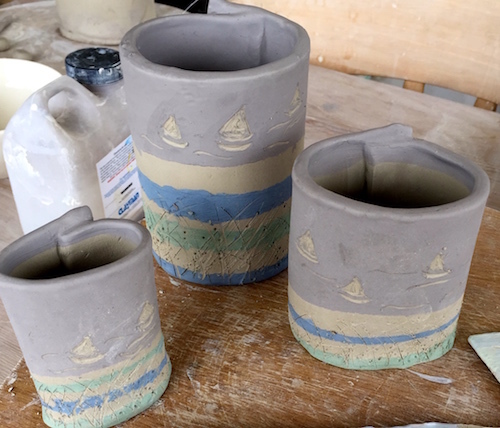 Following careful instruction, and with huge encouragement from Sally-Jo, I managed to make not just one, but three vases. The morning flew by as we all busied around the studio, stopping occasionally to listen and watch as our skilled mentors demonstrated new techniques. Both tutors were fantastic at striking the perfect balance between teaching, guiding and keeping a watchful eye on everyone’s progress without being intrusive. They definitely had the knack of only helping when required, which ensured that the pieces were certainly made by our own fair hands. As the ladies on the course honed their skills in hand-building and throwing, coiling and pulling handles, an impressive number of pots and vases, in all shapes and sizes, magically emerged. There was such an incredible buzz in the studio and the supportive ambience was almost tangible as everyone chatted happily, encouraging each other’s efforts and bonding during this shared experience. After a delicious lunch of homegrown and homemade salads and frittata in Sally’s fabulous farmhouse kitchen, it was back to work. Minutes later, gently cajoled by the group, I finally plucked up enough courage to sit down at the wheel and attempt a little throwing. I have to say, although the rest of the ladies were taking to this like ducks to water (quietly and without any fuss or drama), I was mightily concerned that this wouldn’t be the case when it was my turn. However, with expert advice and one-to-one tuition from Sally, amazingly, I did exactly what I was told and, lo and behold, out of a grey lump of clay, my own little bowl began to take shape. I don’t think I’ve ever been as surprised in all my days! 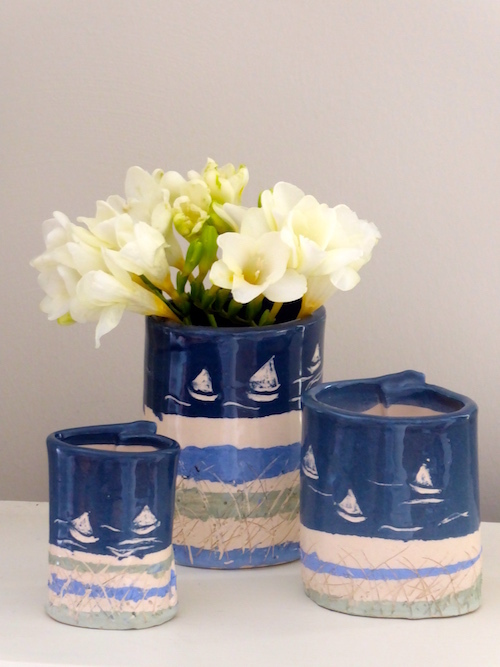 With what I’d previously regarded as an insurmountable challenge tackled, I then returned to my trio of vases for a spot of slip decorating, using brushes and strips of torn paper, before heading home on a complete high. Driving through Midhurst the next day, I resisted the temptation of calling in for a swift visit to the town’s Country Brocante Store and arrived at the studio, ready for action. With potters assembled, Sally hopped on the wheel to demonstrate the art of turning a pot. With more than 35 years of experience under her belt, this genial tutor deftly trimmed the excess clay from her bowl, to create the shape she had in mind. Although Sally made it look fairly straightforward, I felt there could be much, much more to this technique than met the eye. I was also rather concerned about doing anything to my ‘pride and joy’ bowl that would possibly spoil it. 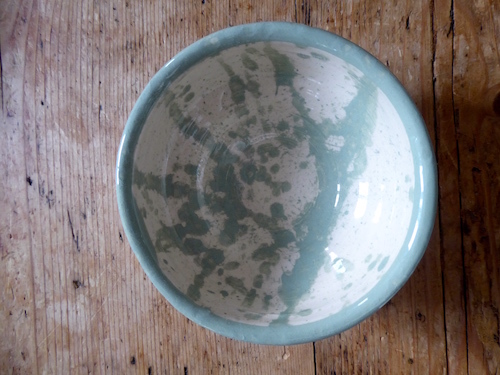 With encouragement from both tutors and students, I plonked myself back down at the wheel and, believe it or not, with more guidance and individual help, I managed to turn the bowl without ruining it. Over the next few hours, we all worked extremely hard and had great fun bringing our pieces to fruition, while both tutors interspersed the day with relaxed yet informative demonstrations, such as how to attach handles and lugs to our vessels and other decorating techniques. 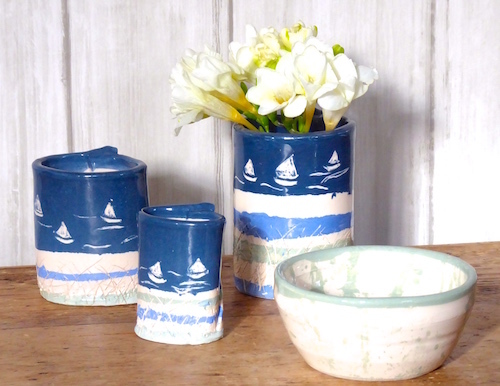 With vases dipped and decorated in three different colours, I then scratched a simple coastal scene on each one. Inspired by one of Sally’s bowls in her well-stocked studio, I decided to give my own creation a little random touch with a flick of a paintbrush. Decorating outside on the lawn, initially seemed like a very sensible plan – until it began drizzling. Despite the inclement conditions, I persevered and, miraculously, managed to achieve the desired look – just before it poured. The workshop was such an incredibly enriching experience, with first-rate tuition and wonderful camaraderie. I’m so very grateful to all the ladies who pulled together to make sure everyone enjoyed their time in the studio. 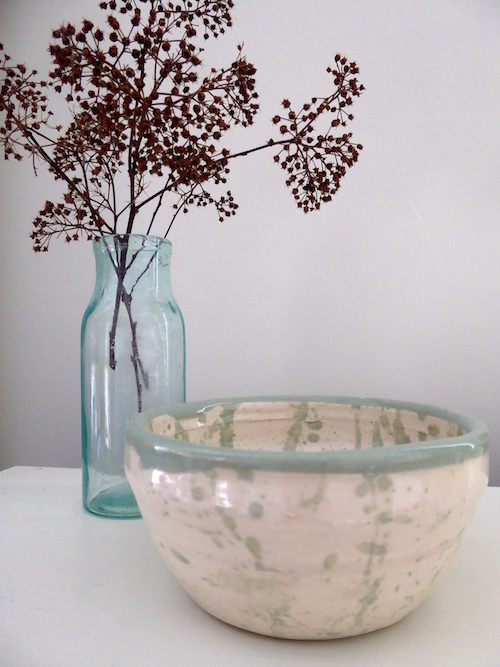 Our pieces have now been fired and glazed and I am totally over the moon with the results. I can’t imagine that, if the BBC is looking for applicants for the next Pottery Throw Down, they’ll come knocking on my door but, if they do – I could be sorely tempted. If nothing else, I think my efforts could make rather entertaining television! 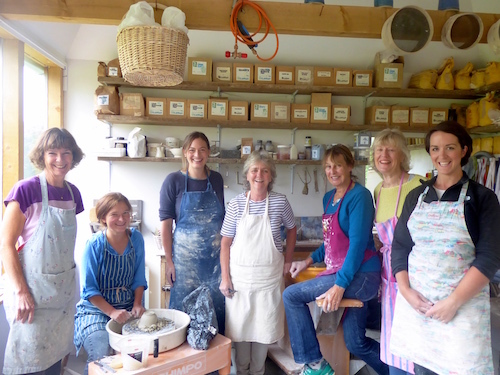 A one-day pottery workshop costs £165 per person. The price includes all materials, firing and glazing costs, morning coffee, homemade lunch and afternoon tea. The next workshop will be held in May at The Sally Marien Studio. To contact Sally-Jo, visit www.sjbceramics.com, or call her on 07775 883696.